New to cooking in clay? 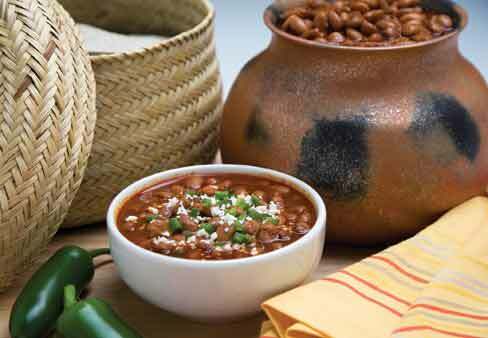 This basic bean-pot recipe is easily adapted to your tastes. Put all ingredients in bean pot and place on bottom rack of cold oven. (If you’re cooking in something other than a micaceous bean pot, put a lid on it.) Heat oven to 450 degrees and cook beans for 1½ hours. Carefully remove pot and check seasoning; add more if necessary, and return to hot oven. Reduce heat to 375 degrees and cook another 40 minutes or until tender. Remove pot from oven, re-season if necessary, cover, and let rest 10 minutes. Serve as side dish with fresh tortillas, crema Mexicana or sour cream, diced jalapeños, and crumbled cotija or grated asadero cheese. 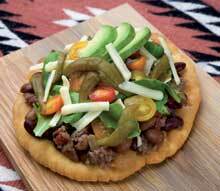 The following recipe comes from Danny Baca at La Fonda del Bosque. 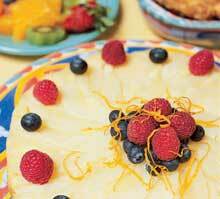 Caramelize sugar and pour into bottom of custard cups, or small soup cups, or 9-by-12-inch pie pan. Mix all ingredients until smooth, and fill cups 3/4 full of mixture. Bake in 350-degree oven, in a water bath, until firm (about 3 hours). 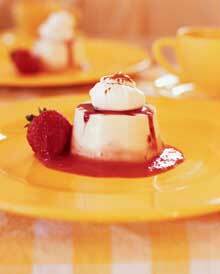 When ready to serve, slide a knife around the edge of the cup and invert over serving dish. Garnish with whipped cream and cinnamon. A fit and filling fall meal. Use your fingers to carefully loosen the skin from both sides of turkey breast. In a food processor, or blender, combine the next five ingredients, until smooth. 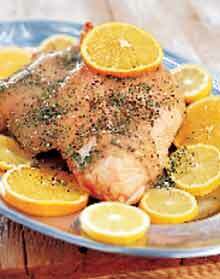 Spread under turkey skin and arrange lemon and orange slices over the herb mixture. Secure skin to underside of breast with toothpicks. Coat grill rack with nonstick cooking spray and prepare grill for indirect heat. Place turkey over drip pan, cover grill and cook for 13/4 to 21/4 hours, or until meat thermometer reads 170 degrees and juices run clear. Let stand for 10 minutes. Pour pan drippings into measuring cup and skim off fat. Combine cornstarch and water until smooth. Add orange juice, orange and lemon peel, pepper and pan drippings. Bring to a boil and stir until thickened. Discard skin, lemon and orange slices from turkey breast. Remove herb mixture from turkey and stir into gravy. Slice turkey and serve with gravy.